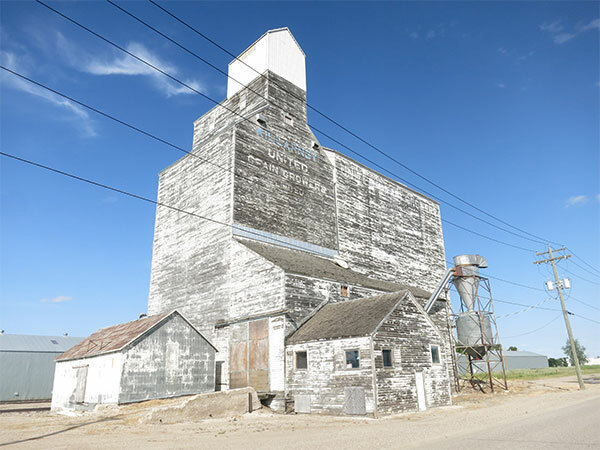 A last remaining wooden grain elevator in Killarney, on the CPR Napinka Subdivision in the Municipality of Killarney-Turtle Mountain, was built in 1953 by United Grain Growers. 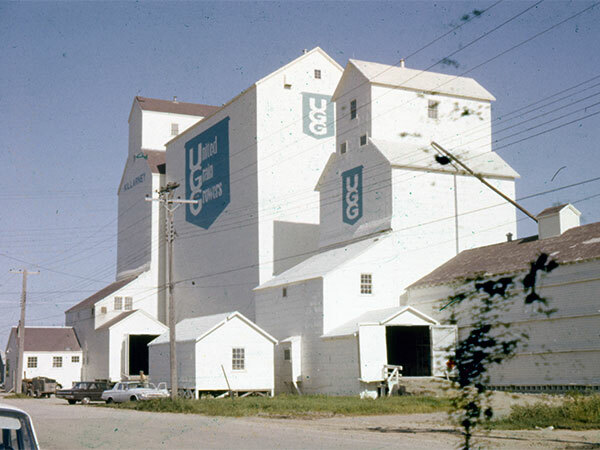 Its initial 100,000-bushel capacity was expanded to 192,000 bushels with the construction of a crib annex on its east side in 1961. 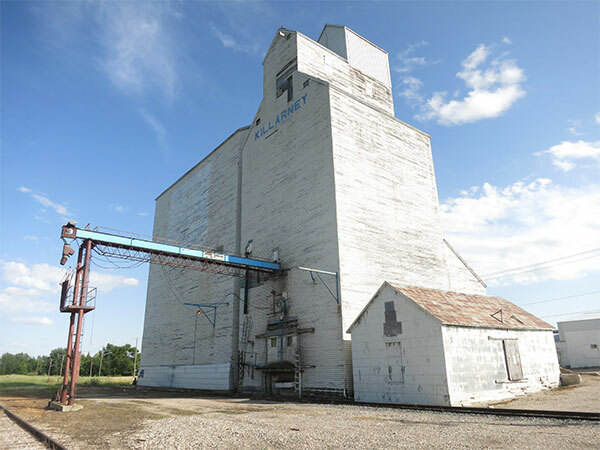 With newly opened inland terminals nearby that were several times its size, the elevator was sold in late 1999 to Paterson Grain. The building was demolished in late September 2017. 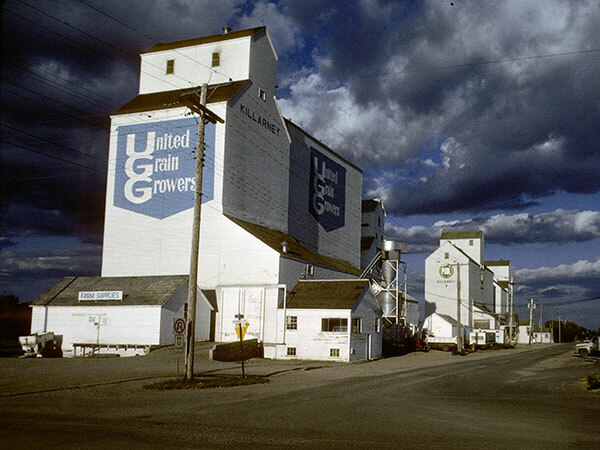 Source: Historic Resources Branch, Grain Elevator Inventory, slide 2132. 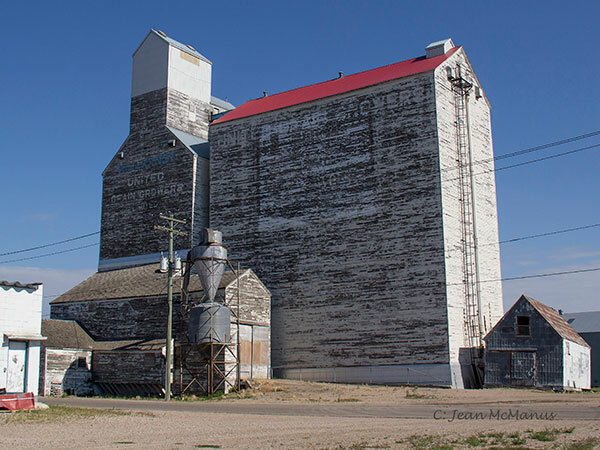 Reflections: A Community History of the Rural Municipality of Turtle Mountain and the Town of Killarney by the J. A. V. David Museum and New Horizons, 1982, page 31. “Purchase UGG,” Glenboro Gazette, 26 October 1999, page 2. “Two of three inland terminals open at Killarney,” Shoal Lake Crossroads, 4 September 1999, page 10. We thank Kim Langen for providing additional information used here.